Most alt coins under our radar are recovering. 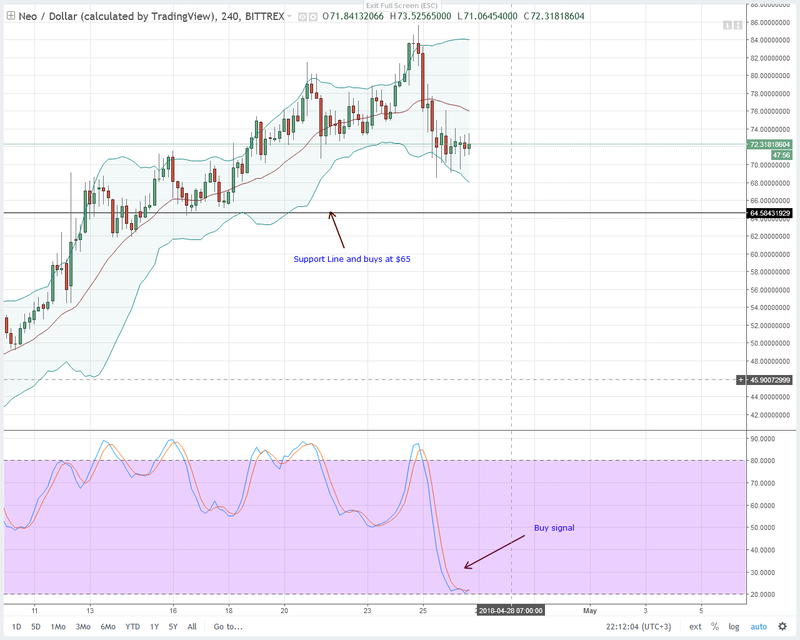 IOTA for example is finding support at $1.7 while Litecoin buyers are loading up at around our previous support line. 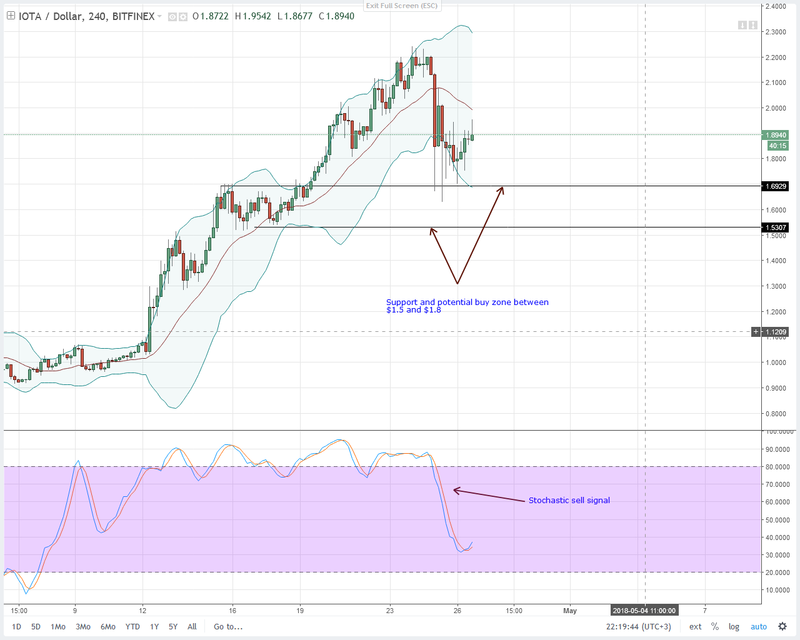 From our previous altcoins analysis, it’s a straight buys on dips for Litecoin, Stellar Lumens and IOTA with targets in line with our initial price projections. 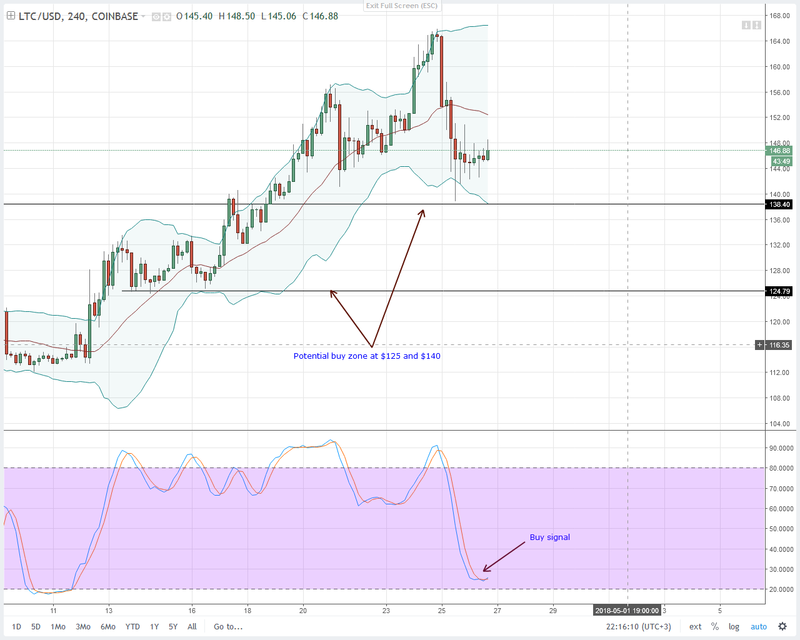 The crypto sphere pendulum continues and by now, we can conclude that there is a slight and positive correlation between the oscillation of the stock market and the declines in cryptos. 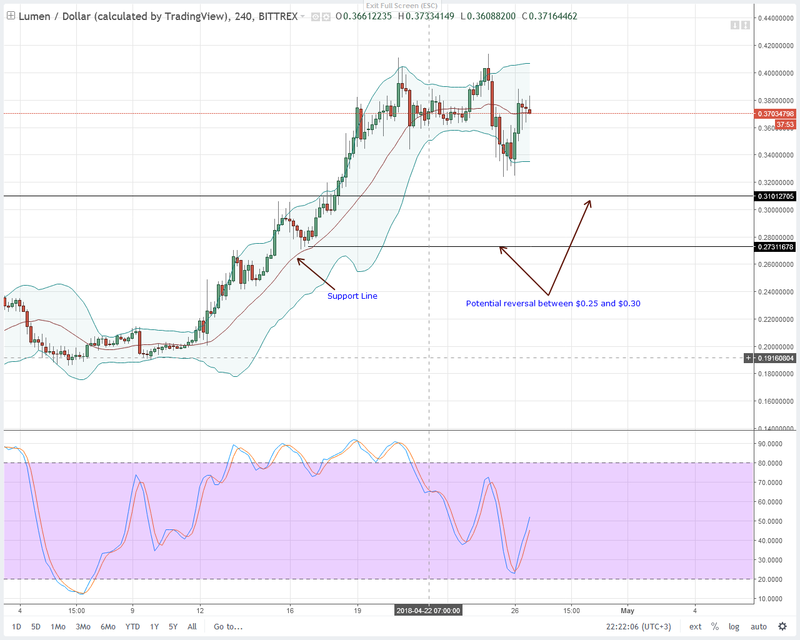 As it is, Stellar Lumens is set to benefit whenever there are negative movements in the later. Basing our overview on analysts’ opinions, Stellar Lumens value will sky rocket if in any case central banks begin issuing their own sovereign backed digital currencies through Stellar Lumens blockchain. Otherwise, Stellar is still slow and a top performer with a five percent gain in the last 24 hours. Price wise, I will hold my buy triggers and wait until prices shoot past 40 cents as per our previous analysis. After all we are now seeing pockets of buy pressure in an otherwise bullish run. There is good news brewing and even though it will likely be in 5, 10 or 20 years, news that NASDAQ is lining itself to be a cryptocurrency exchange is positive. It’s mainly positive for IOTA that we have these hosts of tech companies backing it. This is besides the inherent design of IOTA as a facilitator of IoT with several tech applications is a positive. Finally, assuming we have tighter but supportive regulations, more institutions will join in the fray and help pump IOTA prices. All in all, prices are turning from the upper edge of our buy zone. Right, we didn’t have perfect buy reversal formations but since we are in a bullish market, odds of making money if you buy remains elevated. In the 4HR chart, we have these higher highs relative to the lower BB and a buy signal. I recommend buys with stops just below $1.7. Everything else remains as per our initial projections. Things are beginning to take shape and with EOSIO prepping itself to be a to-go DApp platform, many companies are taking notice. Already PLACTAL, a DApp that plans to launch on EOS is seeking the services of Coinsilium Group. This consultancy firm often finances and manages blockchain start ups. When EOSIO launches, PLACTAL shall use the expertise of Coinsilium during token generation event (TGE). After 24 hours, EOS is still oscillating within a $2 range. Overly, I’m net bullish and if we borrow hints from our previous EOS price forecasts, any break above $16 means we trade with the trend. If not, we should wait for better buy signals in the 4HR chart and consequently buy on dips anywhere between $9.50 and $11.50. Regulation, regulation and yes, more regulation is what cryptocurrencies need. It’s amazing how talks of anonymity is quickly fading. As I type this, Litecoin and Token Pay are now working closely and “exploring a banking solution” in Germany. 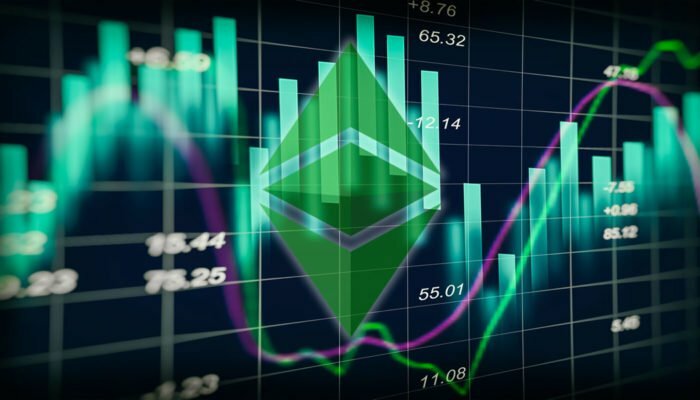 This move is specifically geared towards educating governments and to foster relationship with regulators once Token Pay acquires a bank in Munich. The deal is still at formative stages but we get the drift and where the objective of this deal. 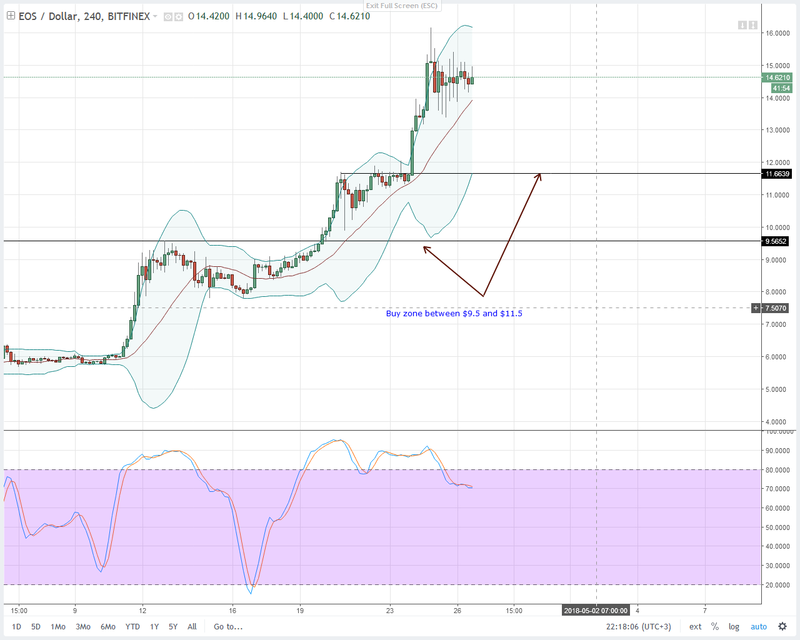 All in all, Litecoin is up four percent and looks to be bottoming up around our ideal support at $140. From the chart, we have this stochastic buy signal complete with higher highs relative to the lower BB. This is after periods of brief accumulation in the last 3 or 4 days. I recommend buying Litecoin with stops below $140 with targets at $180 as per our previous Litecoin technical analysis. Nothing much has happened in the last 24 hours and NEO bulls are adding to their positions. Since we now have a stochastic buy signal, we can wait for a bullish confirmation before buying. Because of this, I recommend buys at $75 with stops at April 26 lows of $68. Our take profit targets should be at $90 and $110 if bullish momentum continues.